A brand new source of information for sufferers of neuropathic conditions and their carers is now available at NeuropathyTreatment.com. The site aims to provide information about all aspects of the condition from the causes and symptoms to the treatments available. NeuropathyTreatment.com is pleased to announce that their new website devoted to sufferers of peripheral neuropathy and their carers is now live and online. The site went live on June 17th 2012 and aims to be a complete source of information on the types, causes, symptoms and treatment of the condition. Hundreds of thousands of people are diagnosed with the condition each year and many of them will have little prior knowledge or experience of the disorder. Peripheral neuropathy is a condition that causes damage to the nerves in the peripheral nervous system. It has been estimated that around 2-8% of the population will suffer some form of the condition during their lives. The condition is especially common in diabetics with around 60% going on to develop mild to severe symptoms. 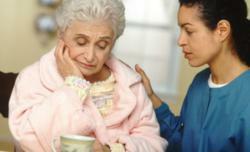 Various forms of neuropathy are much more common in the aged and elderly. The causes of neuropathy are varied and are often connected to an underlying medical condition or in 30% of cases for no determinable reason. As damage can occur throughout the peripheral nervous system symptoms can vary significantly from person to person. Damage can occur to sensory, motor and autonomic nerves producing symptoms that can range from numbness and pain in the hands and feet to digestive and cardio-vascular problems. While there are hundreds of types of neuropathy they are conventionally grouped into four main categories. These are mononeuropathy, Mononeuritis multiplex, polyneuropathy and autonomic neuropathy. The NeuropathyTreatment.com website features a wide range of articles and blog posts covering all essential aspects of the disorder. Its aim is to provide information about neuropathy treatment and the causes and symptoms of the condition in a simple to understand and jargon free way. Neuropathy is a complex condition and it is vital that people diagnosed with it have a source of information they can understand clearly and NeuropathyTreatment.com aims to provide this.